The Orlando Naval Training Center was a springboard for the careers of U.S. Navy personnel for more than 30 years. Most people know Orlando as a family vacation destination, thanks to Walt Disney World, Universal Studios, SeaWorld Orlando and the countless attractions that welcome 50 million-plus tourists each year. 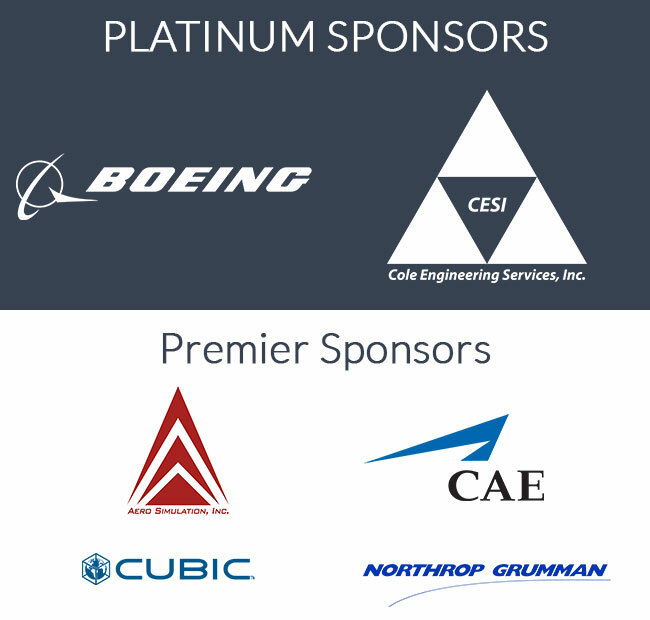 But for the men and women who served their country in the greatest naval force in history, the United States Navy, Orlando is more than a city with theme parks and attractions, it is where their naval careers were developed into distinguished careers in the U.S. Navy. 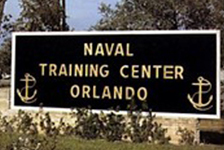 Originally built on the grounds of an Army Air Corps base from WWII, Orlando’s Naval Training Center (NTC) was commissioned in 1968 to provide training and education to naval recruits. Over a period of 30 years, officers, non-commissioned officers, and civilian personnel worked, trained and lived in and around Orlando’s Naval Training Center, bringing revenue and the naval culture to landlocked Orange County. Unfortunately, after the 1993 decision by the Base Realignment and Closure (BRAC) Commission to reduce the number of military facilities in the United States, the NTC was ordered to close and had its last graduating class in 1998, thus ending the U.S. Navy’s contribution to Orlando and the rest of the Central Florida community. Today, the location where the Naval Training Center once stood, and where more than 650,000 sailors trained and shaped their naval careers, has been repurposed and rebuilt as the Baldwin Park residential development. Today on the location where Orlando NTC once stood, there now stands a Lone Sailor Navy Memorial bronze statue, soon to be joined by the woman Sailor bronze, affectionately known as Project Sparky. The dedication by many has ensured that Orlando’s Naval Training Center will continue to be a great memory in the minds of those who gave so much for their country and the Central Florida community. Central Florida’s naval heritage was cast in bronze on April 2, 2016, when the Lone Sailor was dedicated at Blue Jacket Park in the old “grinder” area of the former Orlando Navy Recruit Training Center. Like all previously built Lone Sailor sculptures, the Central Florida’s Navy Memorial is the creation of Stanley Bleifeld, the prestigious U.S. Navy Memorial’s official sculptor. The Lone Sailor statue contains two pieces: the Sailor, who stands seven feet tall and weighs approximately 1,000 lbs., and his sea bag and cleat weighing 700 lbs. 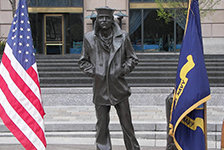 As part of the casting process, the bronze for the Lone Sailor is mixed with artifacts from eight U.S. Navy ships provided by the curator for the Navy in the Naval Historical Center of the Washington Navy Yard. The ships span the Navy’s history, yielding small pieces of copper sheeting, spikes, hammock hooks and other fragments from the post-revolutionary frigates the Constitution (“Old Ironsides”) and the Constellation, the steamer Hartford, flagship of Admiral David G. Farragut in the Civil War era; the battleship USS Maine; the iron-hulled steamer/sailing ship USS Ranger; the World War II-era cruiser USS Biloxi and the aircraft carrier USS Hancock, and the nuclear-powered submarine USS Seawolf. One last addition will come from today’s Navy, a personal decoration given to sailors in war and peace, the National Defense Service Medal. These bits of metal will be part of the Orlando Lone Sailor sculpture. The Central Florida Memorial is located in the City of Orlando at Blue Jacket Park in the old “grinder” area of the former Orlando Navy Recruit Training Center, and is available for use by all services, veterans’ organizations, and civic groups for appropriate special events, ceremonies and, of course, patriotic service, through coordination with the city. 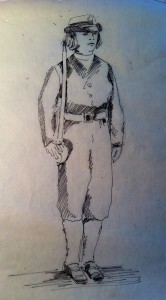 With your help, Blue Jacket Recruit, the woman Sailor bronze, will sit opposite the Lone Sailor Memorial Statue. The Navy League Lone Sailor Navy Memorial (LSNM) Committee is once again leading a project to honor U.S. Navy Sailors, but this time the focus is women Sailors. 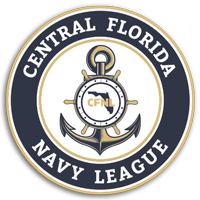 Blue Jacket Recruit is supported by the Central Florida Council of the U.S. Navy League, and like the original Lone Sailor Navy Memorial and bronze sculpture, the Navy League will coordinate the fund raising, design, sculptor contracts, installation and dedication before relinquishing it over to the city, who will assume responsibility after the transfer in 2017. • Honor the 188,444 women Sailors who graduated from RTC Orlando from 1975 – 1998, and those who served as base staff. • Honor Orlando’s proud, pioneering heritage as the first co-ed boot camp in the Navy with a woman Sailor counterpart. • Make this project entirely a “Central Florida Creation”- design, casting, and installation by locals. • Complement and integrate the new woman Sailor into the existing Lone Sailor Navy Memorial. • Complete the coordination with the City of Orlando and the design in 2016. • Dedicate the statue by 2017. 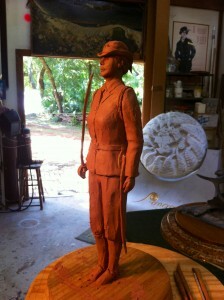 The design is a single statue of a recruit at her graduation from the Orlando Recruit Training Center who is shown in a leadership role as an inspirational figure to all recruit graduates. 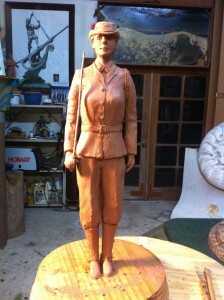 It will honor the historic ground in front of her and represent the transition from “street to Fleet.” A complementary design to Stanley Bleifeld’s “Lone Sailor” who represents the Fleet, it will anchor the left side, be 110% scale, and made of bronze with similar patina and finish to the Lone Sailor.